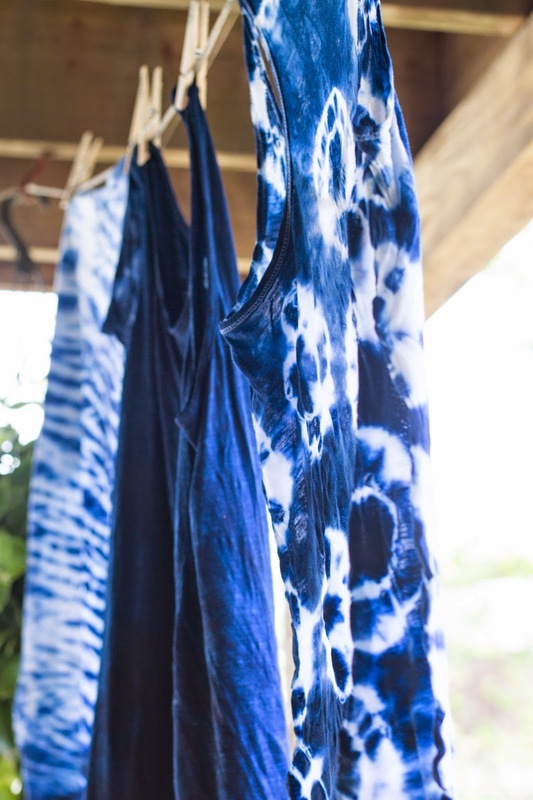 shibori dates back to japan's 8th century. 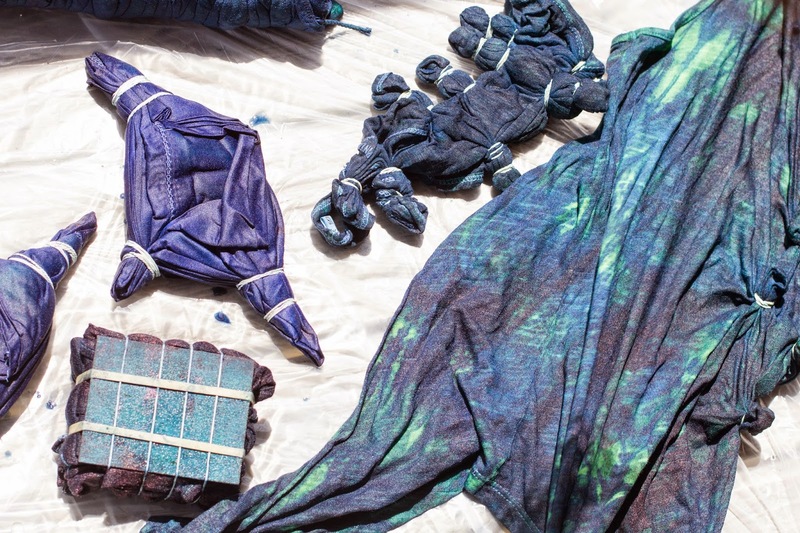 the term refers to a range of specific dyeing methods, many that can be used in conjunction to achieve results that vary from subtle to elaborate. today, skilled artisans uphold this tradition by recreating painstaking techniques handed down from generation to generation. 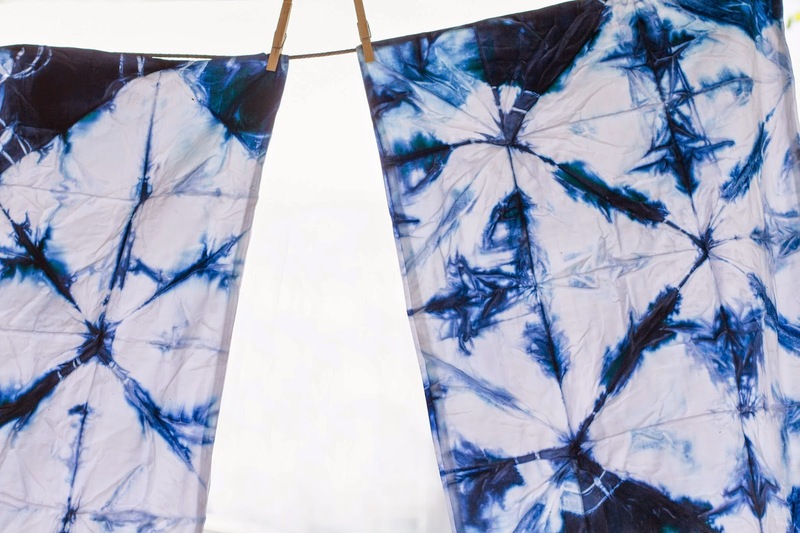 the word shibori comes from the japanese root verb shiboru meaning "to wring, squeeze, press". 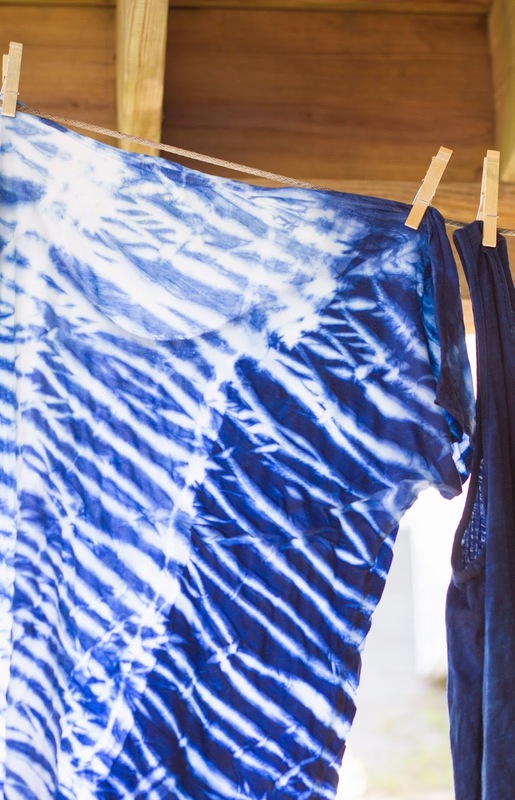 the closest english translation for shibori would be "shape-resist dyeing". there are countless methods to shape, bind, fold and twist the cloth - each creating a unique result. 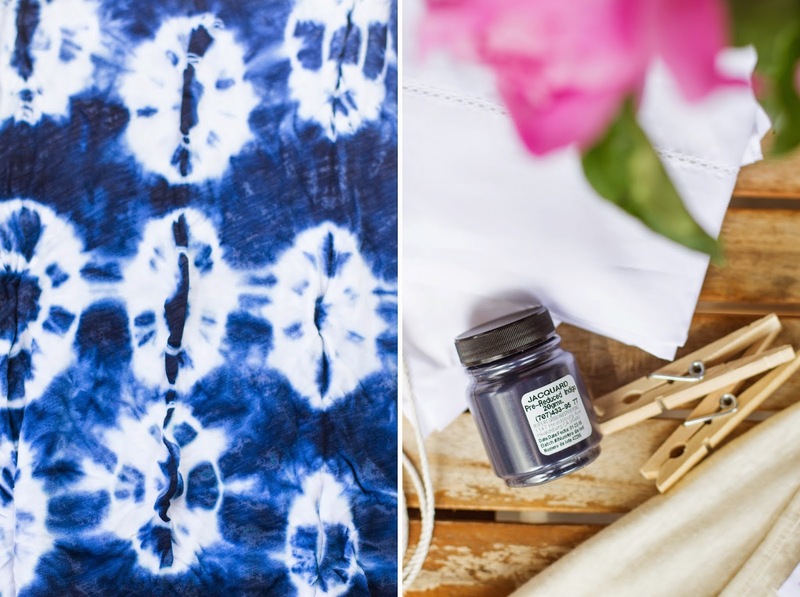 the variables involved in shaping the cloth, in addition to those inherent in the traditional indigo dye process, are responsible shibori's beautiful soft-edge patterns. 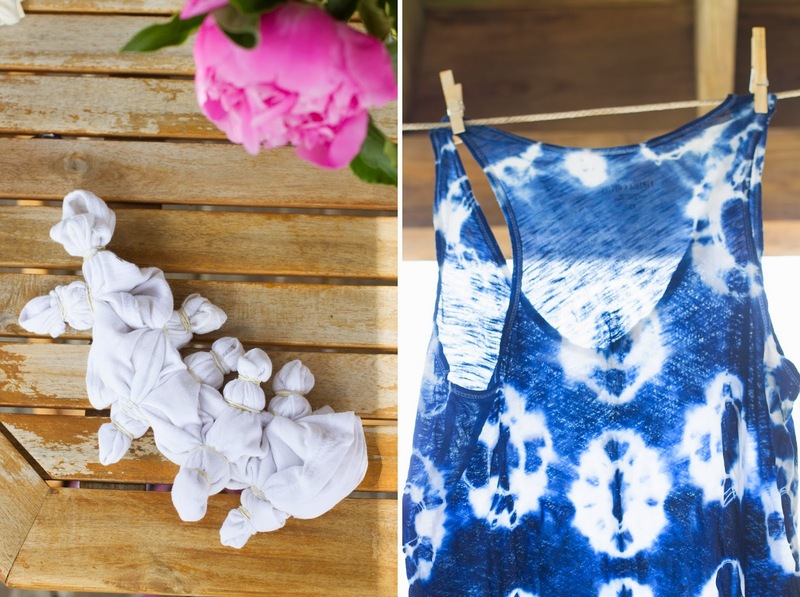 inspired by some of the more simple shibori techniques, we decided to give some basic white items a spring makeover. 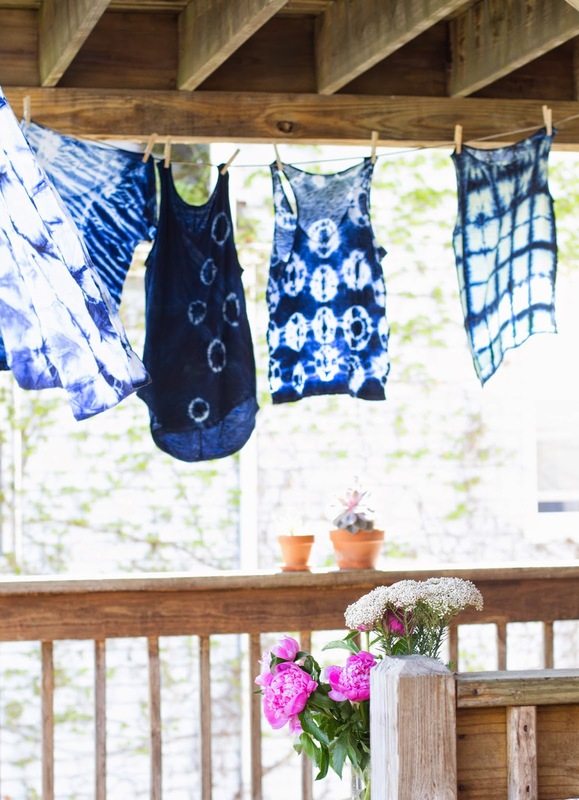 the unique patterns and deep indigo color make pieces dyed in the shibori style beautiful additions to your home and wardrobe. working with dyes can be messy. we highly suggest heading outdoors and throwing down a drop-cloth before getting started. 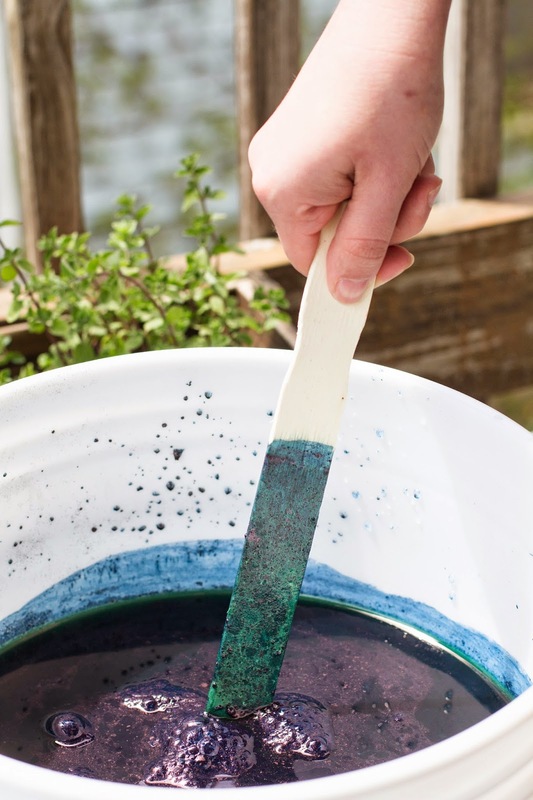 following your dye kit's instructions, fill a 5 gallon bucket with 4 gallons of warm water. 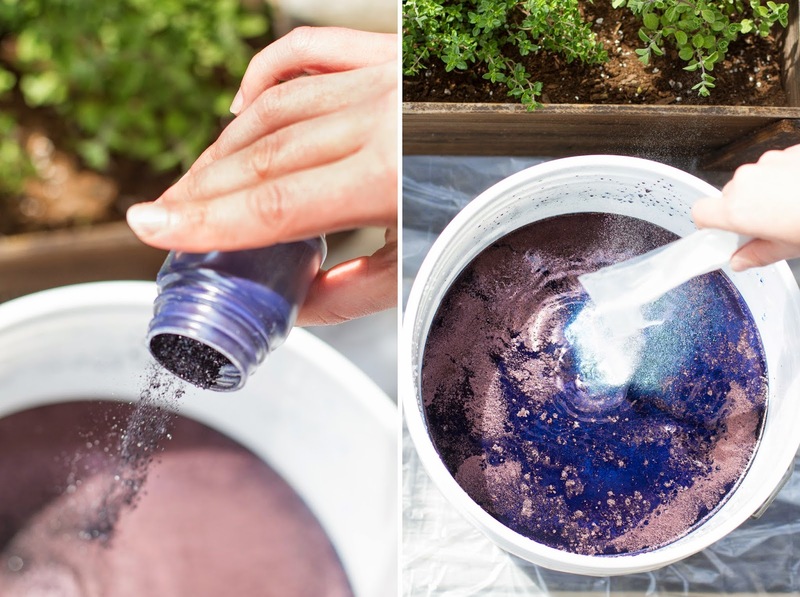 pour in dye powder and stir gently in a circular motion. add soda ash and reducing agent, continue to stir in a circular motion, then reverse until everything has dissolved. 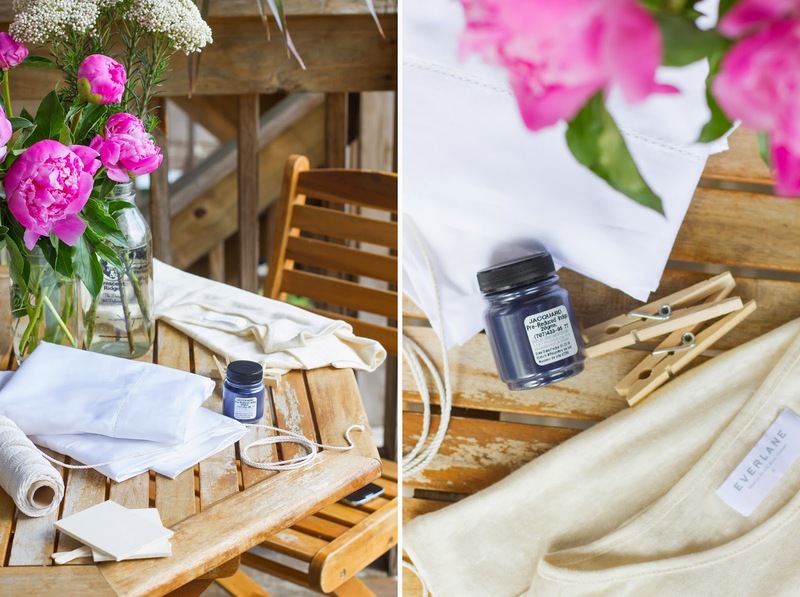 indigo can oxidize easily, so it's important to cover the bucket as soon as the dye bath is mixed. let sit for at least 20 minutes. 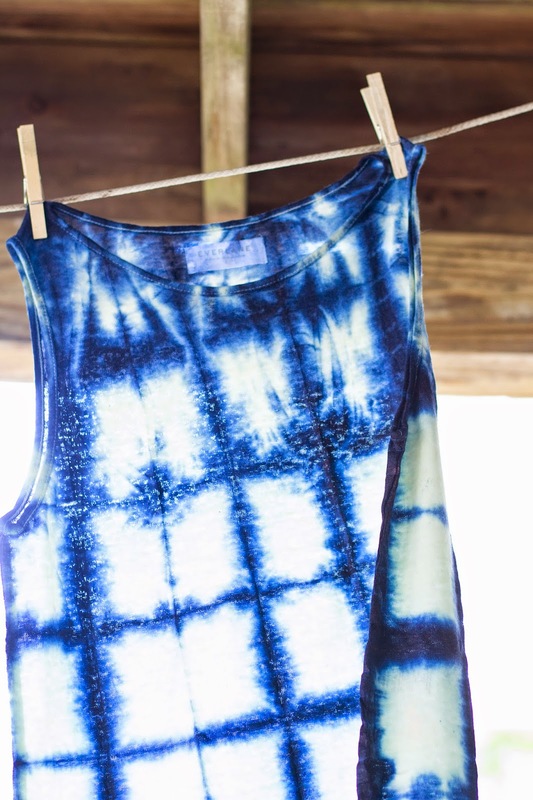 this technique is most similar to what we think of as tie-dye. 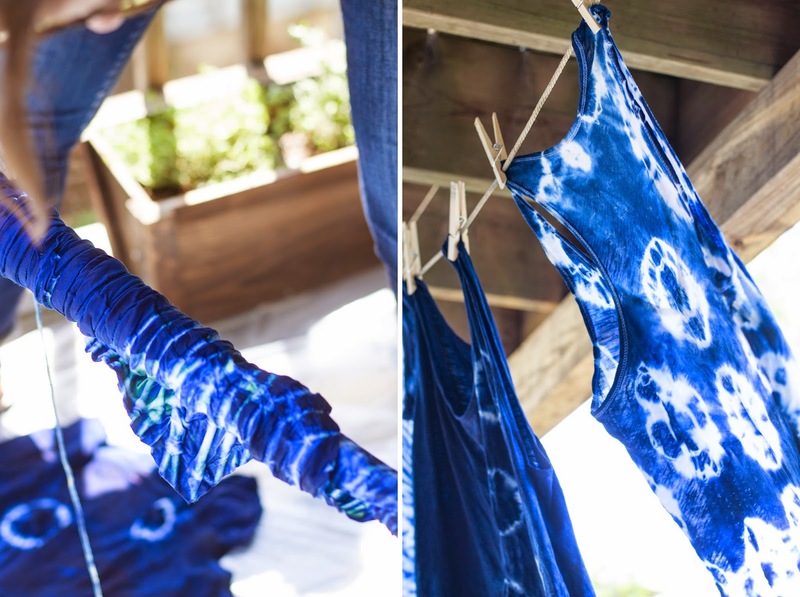 it can also be called "fawn shibori" likely due to the resulting pattern's resemblance to the spots on a fawn's back. 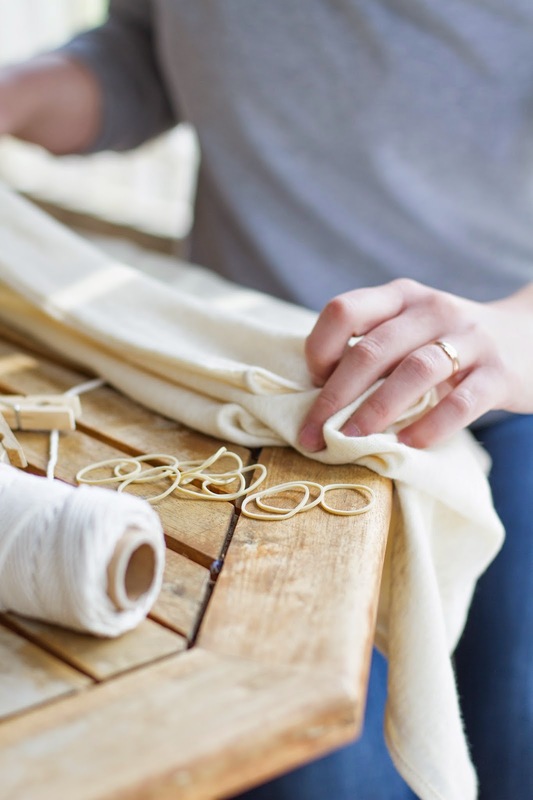 simply bunch random sections of fabric and secure with string or rubber bands. after dyeing, the areas that were bound will create small abstract rings. also known as pole-wrapping technique, this method requires wrapping the fabric around a thick dowel or piece of pipe. arashi means "storm" in japanese, no doubt in reference to the resulting diagonal stripes reminiscent of an intense rainstorm. to create this effect, start by wrapping the fabric around the pipe on a diagonal. 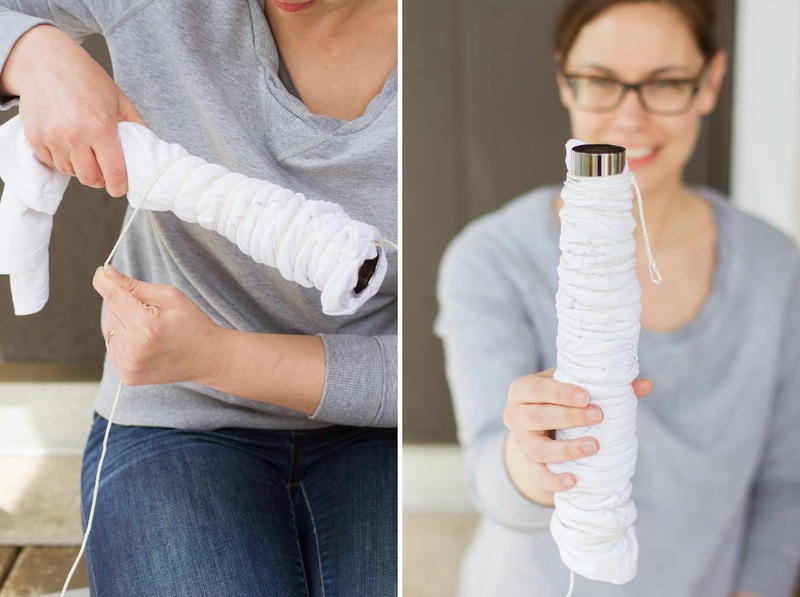 secure a piece of twine to the pipe and then start to wrap around the fabric. once you are about halfway up, begin scrunching the fabric down. continue to wrap then scrunch the fabric until you reach the top. secure the twine above the fabric. known as shape-resistant technique. traditionally, cloth is folded and sandwiched between two small blocks of wood. the shape is then bound to prevent the dye from penetrating the fabric they cover. to begin, you will fold the fabric in opposite directions (like an accordion) until you have one long strip. you will then begin to fold the strip, accordion-style again, until you get a square or small rectangle. 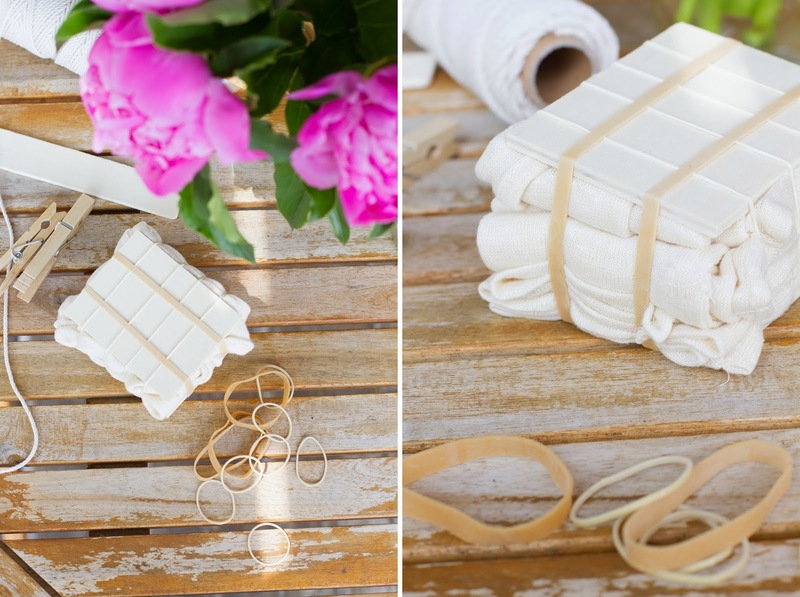 place the fabric between your two wood squares (feel free to substitute different shapes or materials to alter the effect) and bind with bands or clips. another variation on the shape-resist technique would be a triangle accordion pleat. this effect does not require blocks, simply fold the fabric lengthwise into a wide strip. fold the strip into triangles using the accordion method. bind each corner with a rubber band or clip. kumo is a pleated and bound resist. this is a very precise technique of binding fabric in close sections, resulting in specific spider-like designs. begin to fold your fabric accordion-style once again. pinch and bind into equal sections with rubber bands. bind the opposite side, staggering your sections. continue binding the sections until you have a tight bundle. soak the bound fabric in water then squeeze out as much out as possible. 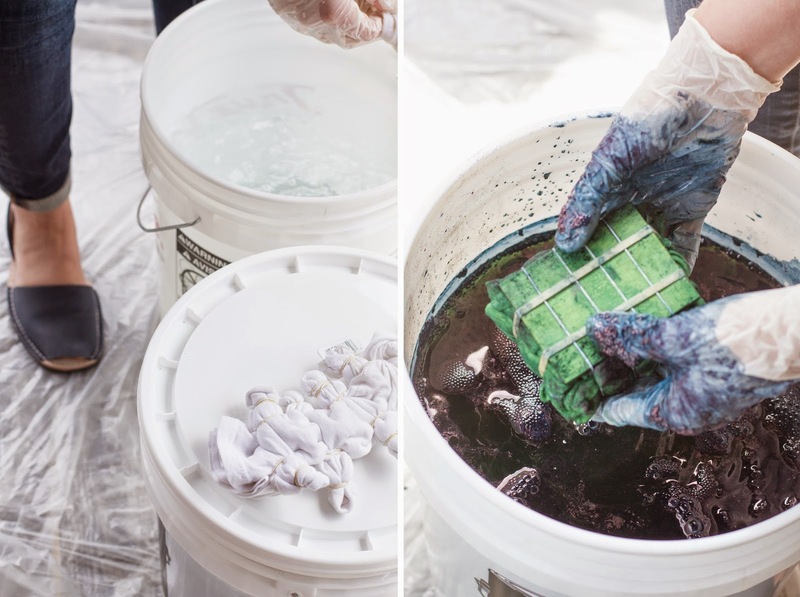 wearing gloves, gently submerge the fabric into the dye bath. 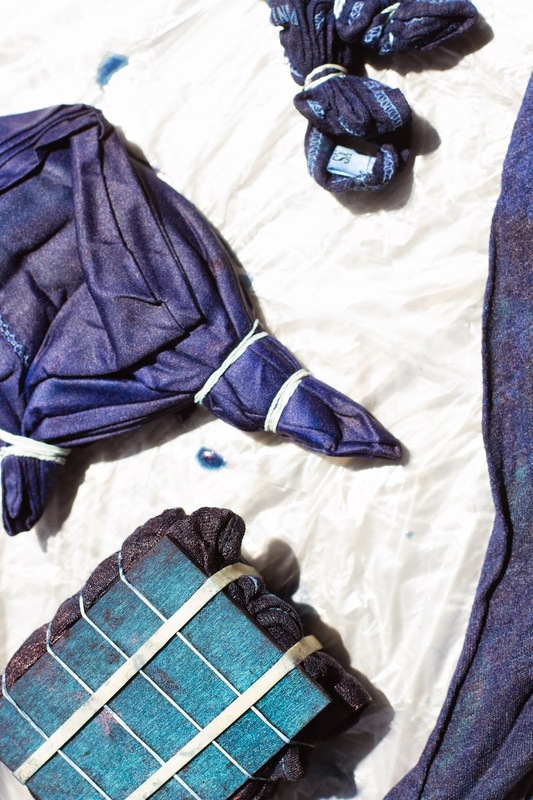 hold the fabric down in the dye for 5-10 minutes (the longer the fabric is submerged, the darker the indigo). 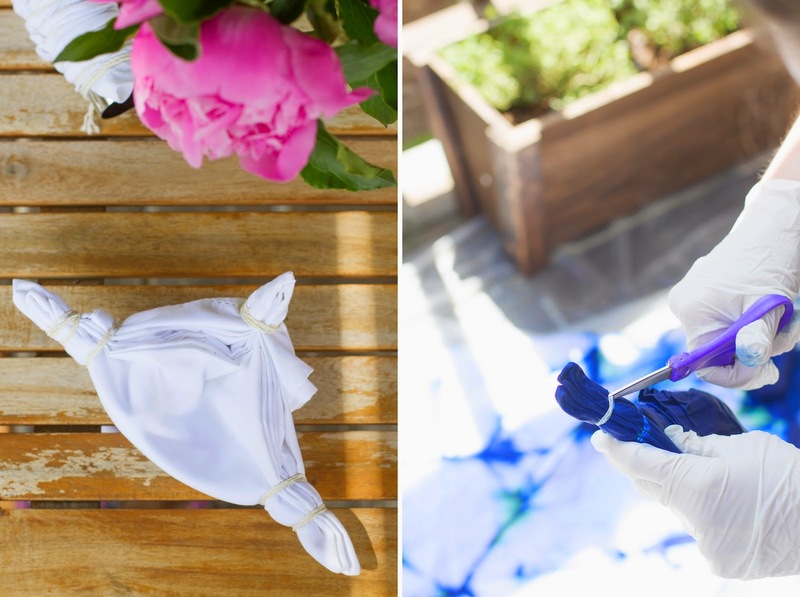 when you remove the fabric from the dye, it will appear a bright yellow-green color. 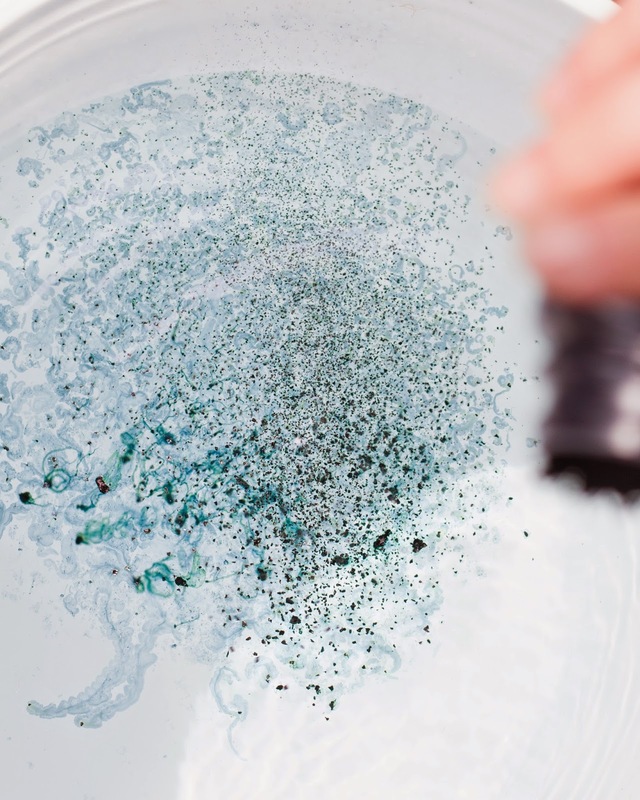 once it's exposed to the air, it will oxidize and start to change to the distinctive indigo blue. the dye will take about 20 minutes to fully oxidize. once you've allowed this to happen, snip off the bindings to reveal the unique patterns you've created. rinse with clean water and allow to air dry. 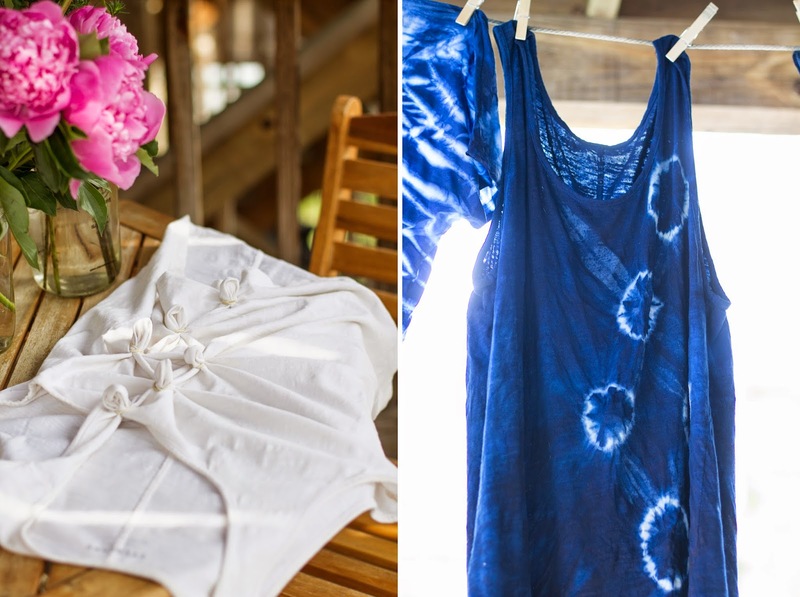 the possibilities for lovely, one of a kind pieces are endless! thanks kathi! it was so much fun to do. These are so beautiful! 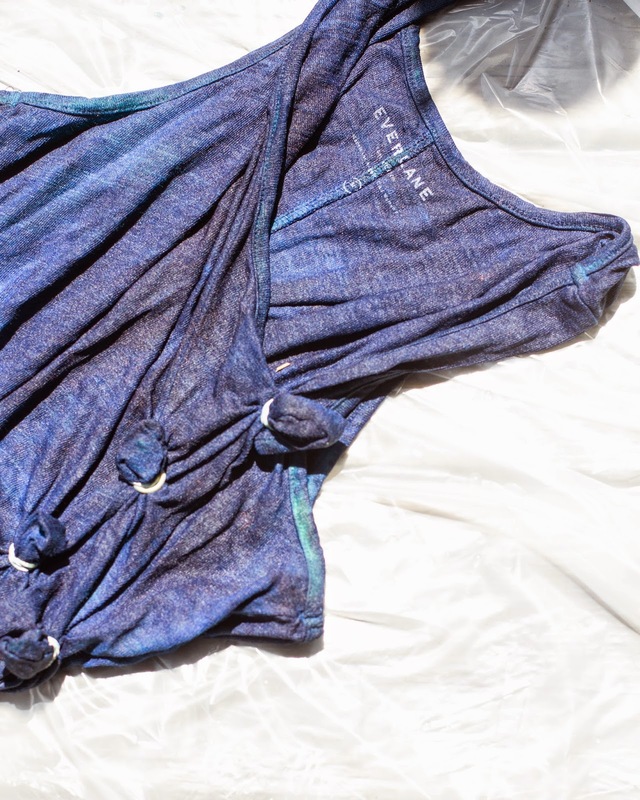 How do you launder the pieces after they've been dyed? thanks caryn! it is a great spring project. it is best to rinse the fabric in cool water until the water runs clear. 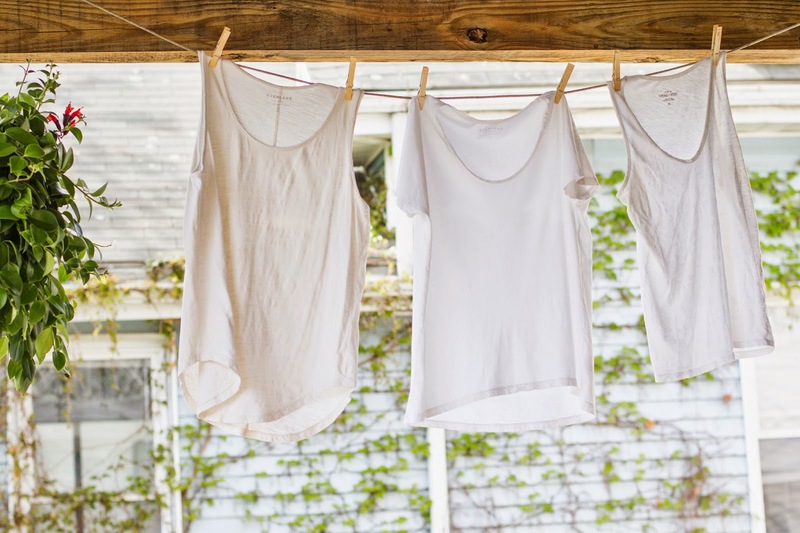 then you can launder in warm water (depending on the fabric content) with mild detergent, rinse and dry flat. 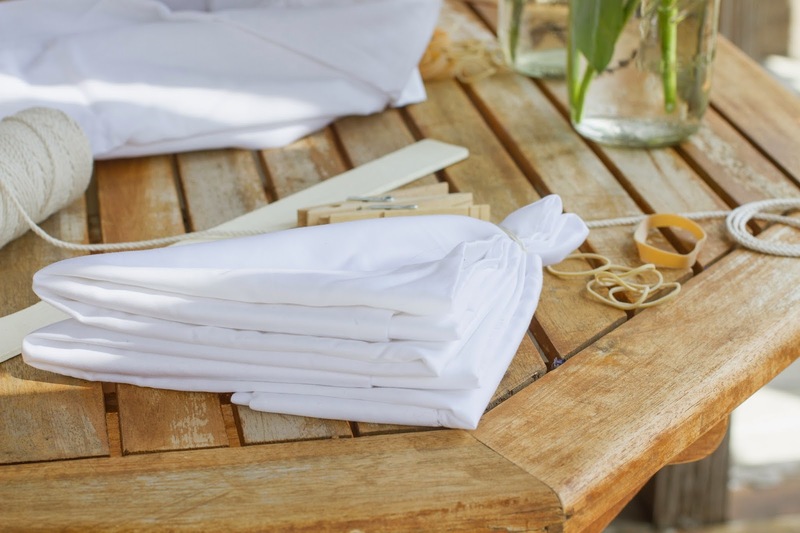 (most of our items were cotton or linen so we washed them in cold water in case that is helpful).